This year’s author will be Evelyn Lau a Vancouver writer who has published eleven books, including six volumes of poetry. 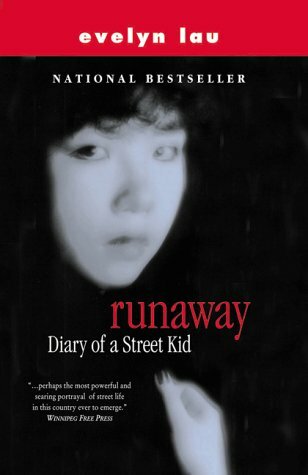 Her memoir Runaway: Diary of a Street Kid, was published when she was 18, and made into a CBC movie The Diary of Evelyn Lau, starring Sandra Oh in her first major role. Evelyn Lau began publishing poetry at the age of 12; her creative efforts helped her escape the pressure of home and school. In 1985, at age 14, Lau left home and spent the next several years living in Vancouver as an itinerant homeless person. Evelyn’s prose works have been translated into a dozen languages; her poetry has received the Milton Acorn Award, the Pat Lowther Award, a National Magazine Award and a Governor-General’s nomination. Her collection, A Grain of Rice (Oolichan, 2012) was shortlisted for a BC Book Prize and the Pat Lowther Award. Evelyn has served as Vancouver’s 2011-2014 Poet Laureate. She has read from and discussed her work at literary festivals and universities around the world; she presently freelances as a mentor to aspiring writers through UBC’s booming Ground and SFU’s Writing and Publishing Program. “Now the long tracts of silence. The cost per person will be $40.00 seated at banquet tables of 10 . If you would like to book seats or tables please or contact a Lioness. This entry was posted in AUTHOR TALK and tagged A Grain of Rice, Author Talk, Chinese heritage, Choose Me, cultural activities, Evelyn Lau, Fresh Girls and Other Stories, Golden City, In the House of Slaves, Inside Out, Living Under Plastic, Oedipal Dreams, Other Woman, Runaway: The Diary of a Street Kid, The Diary Of Evelyn Lau, Treble, Vancoluver Poet Laureate, Victoria Chinatown Lioness Club, You Are Not Who You Claim. Bookmark the permalink.